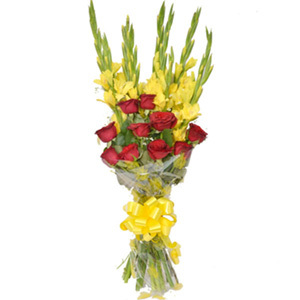 The glass vase in this arrangement can be later used for decorating home or office. Roses are native to Northern Hemisphere. 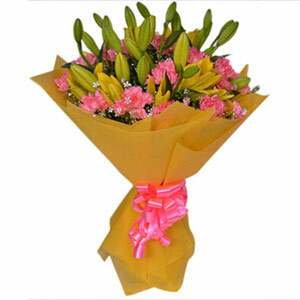 Just like rose, carnation flowers also have different meaning depending on their colours. 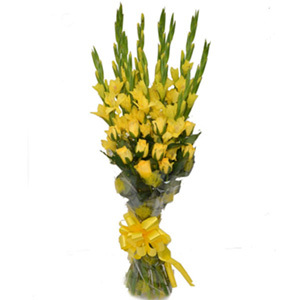 The first flowers of orchids did not germinate for over 5-7 years. Want to gift something that is full of variety? 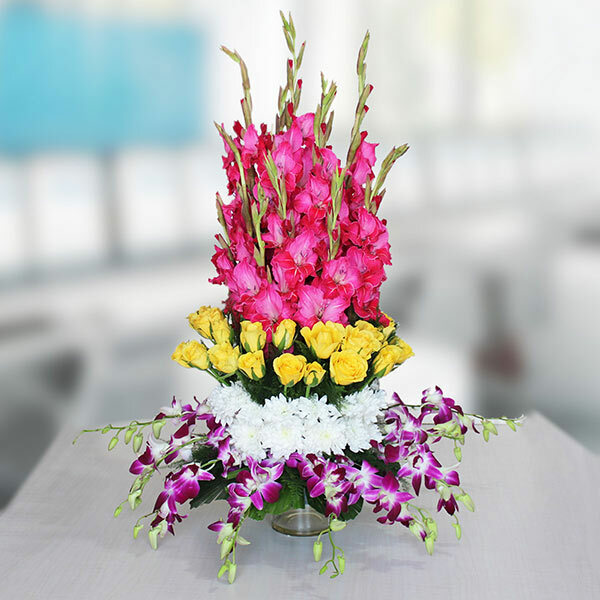 This glass vase arrangement of pink glads, yellow roses, white carnations and purple orchids is the perfect gift for any occasion. 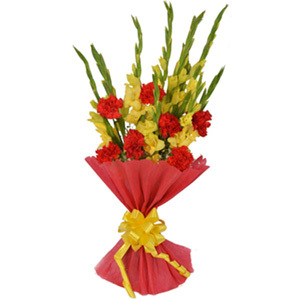 If you are wondering what can be the perfect gift, then this is the best option.